I’m spoiled. Having worked in Mexico for so long, I’ve had the unique privilege of staying at some the country’s finest resorts in the most beautiful destinations. Over time, you find your favorites and sort of stick to them. It’s not so much location, it’s something more intrinsic that reaches into your soul and stays there. Pretty profound, huh? Not really… just true. 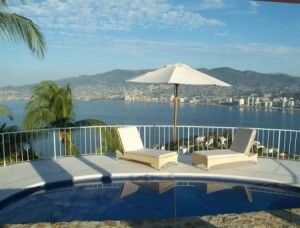 For me, Acapulco is one of those places. It’s electric and relaxing all at once. It’s tradition and sophistication blended into the perfect mix. It has a special magic. I have been making an annual trek to Acapulco for the last twelve years, and I wouldn’t miss it for the world. This is the birthplace of Mexican tourism. It all started here. Tequila poppers, cliff divers, swim-up bars, all-night discos and parasailing made their debut in this undisputed queen of the Mexican beach resorts. Acapulco began to attract vacationers from Mexico City as early as the late 1920’s when a highway (if you could call it that) was completed between the two cities. By the 1940’s, the international crowd was beginning to arrive. The decade of the fifties turned Acapulco into a hot bed for the Hollywood elite. It wasn’t unusual to see Cary Grant, John Wayne, Liz Taylor and Frank Sinatra making the rounds and sipping some tequila. With such a high profile guest list and more stars on the way, glamour was lurking on the horizon. And they did. In December of 1957 the face of Mexican hotels changed forever. 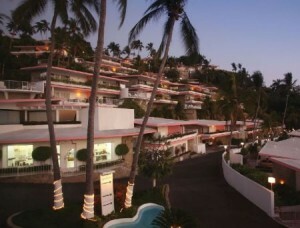 Las Brisas opened its doors high on the cliffs above Acapulco Bay and forever established the standard of luxury in Mexico. With intimate hillside casitas instead of rooms, pink jeeps in lieu of elevators, and private pools throughout, the world of hospitality had never seen such a place. I know I had never seen such a place. I have been lucky enough to stay here many times, and every visit is extraordinary. In 2008, the hotel finished $20 million in renovations. Wow, is all I have to say. Updated and chic, Brisas can compete with any hotel, anywhere. If it makes sense, they made all the necessary changes yet stayed exactly the same… which is just what the hotel needed. Striving to always stay on the cutting edge, Brisas recently stepped into the world of social medial to try their hand at Facebook marketing. I have seen a few promotions on Facebook, but nothing quite like this. The “Brisas, Chicas and Margaritas Girlfriend Getaway” campaign was aimed at both giving away a trip for four friends as well as raising funds for Fondo Para La Paz, a group that helps rural communities in remote parts of Mexico. They invited U.S. residents over 21 (who were “fans” of Las Brisas) to upload a photo of an item that best described what friendship meant to them, along with a description of why they chose that item. Xochi Martinez of San Francisco was chosen as the winner of the contest for her entry of the flower from the Mexica calendar as a symbol that represents the bond of friendship that she and her friends share. “The flower requires multiple stages before reaching full bloom, just like our friendship that has grown throughout the multiple stages of our lives,” Xochi wrote on the Brisas Facebook page. I met Xochi and her three friends, Erica Ceballos, Karla Ranero and Elsa Amaya, for dinner at the Bella Vista restaurant at the hotel. Their faces were pure joy. As General Manager, Javier Aluni, pointed out to me, “People come here for an experience. They come to create history and return so they can remember it.” And so it was with the “Chicas.” No doubt Brisas hit a home run with this campaign. It was so much fun to listen to them talk about their suite, their private pool and everything this trip meant to them. It was the Brisas “experience” personified. It’s interesting and rewarding to watch memories being made. 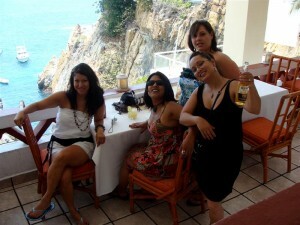 What they felt is what Mexico is all about, it’s what Acapulco is all about, and certainly what Las Brisas is all about. Now they’re spoiled too! My sombrero is off to you Las Brisas! Trip Advisor, on the whole, serves a wonderful purpose: real people giving real opinions on real stays at real hotels in real destinations. Reviews are either wonderful or horrid, with very little in between. Every once in a while, you stumble upon a property with overwhelmingly great reviews and a very, very few negative ones. If you look closely enough, you’ll find behind these negative reviews lie chips-on-shoulders, scam intentions and other unsavory elements where potential or current guests thought they could get away with more if they browbeat and bullied. Something of the sort happened with a very well-regarded member of Mexico Boutique Hotels, the Hacienda de los Santos. I happen to know the owners, and what I read about the incident raised my hackles. Really high. The whole thing is, once there’s a negative review posted on Trip Advisor, it stays there like a bad check on your credit report. And when it’s unwarranted, it really stinks. There are always two sides to the story: yours and mine. And then there’s the truth. When things come up that overwhelmingly seem to back one of the two sides, then odds are that’s the one that more closely resembles the sometimes-elusive truth. Case in point: recently a negative review was posted on Trip Advisor concerning one of our member hotels, Hacienda de los Santos in Alamos. A little background here: HDLS is a five-star hotel, vetted not only by MBH, but also by Condé Nast Johansen’s and AAA (Four Diamonds, thank you very much); has received yearly successive accolades from the likes of Fodor’s, National Geographic Traveler and other such heady organizations; and has been featured in Architectural Digest. They have consistently received rave reviews from our guests as well (ask Rocío, our star Concierge, she can send you a list). We do know, however, that no hotel is perfect (though they come close), and one of the signs of a good hotelier is his or her ability to accept constructive criticism and act upon it to make his or her product even better. Sadly, this review (by a non-guest, mind you) was more along the lines of affronted pride than constructive criticism. Here are some facts: The hotel does not maintain an “open door” policy for several reasons (actually, it’s a half-door, as only the bottom part is closed during the day). The hotel hosts many high-profile Mexican guests who do not wish to be disturbed. They have also found their guests do not enjoy non-guests wandering about the property while they are in their bathing suits lying out by the pool or enjoying private conversations. Sometimes, the hotel management is asked to keep the hotel as a private oasis for their guests and conduct tours only at specified times. This is the nature of many a boutique hotel, especially a high-end property that values and respects its numerous repeat guests. And, while there have never been any incidents in Alamos involving tourists at any level, the prudent behavior of the staff was not snobbery; it was merely a matter of safety. When the receptionist of this small hotel was confronted with nine demanding adults with no previous reservations, it was not surprising she was overwhelmed and erred on the side of caution. Here is another fact: When the gentleman in question wrote to the owner about his experience, he immediately received a letter of apology along with an invitation for a two-night stay at the Hacienda, free of charge. The gentleman’s reply was to post his road rage on TripAdvisor, even after the incident was addressed directly with him in the most gracious, accommodating manner possible. And here is our question: Why? We would truly like to know what made the Hispanic gentleman take it upon himself to spread the word far and wide that HDLS was “deficient” even after a) the management bent over backwards to appease him and b) it was known there were witnesses to the event with very different accounts of his frame of mind. My mother always said lo cortés no quita lo valiente. Roughly translated, it means courtesy and valor are not mutually exclusive—but leave no room for the malicious, the unkind and the rancorous. Have you stayed at Hacienda de los Alamos? If you’re a past guest, we invite you to chime in. But even if you haven’t enjoyed their hospitality, we’d love to read your opinion on this matter. Ron y Edgar en el Arte Oaxaqueño, originally uploaded by Entre Amigos Oaxaca. 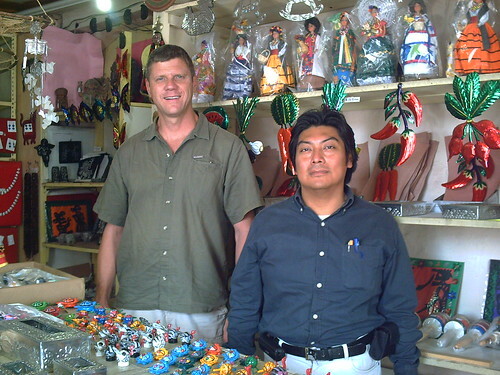 Oaxaca – One of my favorite places in Mexico for more than 20 years (!) has been the craft store Jarciería El Arte Oaxaqueño. HOUSTON – Continental Airlines today began twice-weekly flights between its Houston hub at Bush Intercontinental Airport and Tuxtla Gutierrez, Chiapas, Mexico, the airline’s 30th Mexican destination. Continental serves more destinations in Mexico from the U.S. than any other airline. The new flight, operated as Continental Express, departs Houston at 6:15 p.m. on Wednesdays and Saturdays, arriving in Tuxtla Gutierrez at 9:20 p.m. The return flight departs Tuxtla Gutierrez at 8:30 a.m. on Thursdays and Sundays and arrives in Houston at 11:20 a.m. Flights are timed for convenient connections to other flights in Continental’s network across the U.S. and to Canada and Europe. Continental will utilize the 50-seat Embraer-145 XR regional jet for the new service. Chiapas, located in the southeast region of Mexico, is known for its Spanish and Mayan influence, crafts, cuisine, natural wonders, protected ecological reserves, indigenous communities and Mayan archeological zones, including Bonampak and Palenque, both considered UNESCO “World Heritage” sites. Latin America and the Caribbean account for more than half of Continental Airlines’ international destinations. Continental offers service to 72 destinations in 24 countries in Latin America and the Caribbean, including nonstop service from the U.S. to 30 destinations in Mexico – more than any other airline. Continental also offers nonstop service to 10 cities in Central America and serves seven South American destinations. A pioneer in “Latinization,” Continental offers a number of Spanish-language services, including bilingual flight attendants on many flights to Latin America; bilingual airport personnel, reservations agents and signage; and a Spanish-language Web site at www.continental.com/espanol. WASHINGTON /PRNewswire-USNewswire/ — Attorney General Eric Holder today announced the arrest of more than 2,200 individuals on narcotics-related charges in the United States and the seizure of more than 74.1 tons of illegal drugs as part of a 22-month multi-agency law enforcement investigation known as “Project Deliverance.” The Attorney General was joined in announcing the current results of Project Deliverance by Acting Administrator Michele M. Leonhart of the U.S. Drug Enforcement Administration (DEA); Assistant Director Kevin L. Perkins of the FBI’s Criminal Investigative Division; and Assistant Secretary John Morton of the U.S. Immigration and Customs Enforcement (ICE). Yesterday, 429 individuals in 16 states were arrested as part of Project Deliverance, which targeted the transportation infrastructure of Mexican drug trafficking organizations in the United States, especially along the Southwest border, through coordination between federal, state and local law enforcement. More than 3,000 agents and officers operated across the United States to make yesterday’s arrests. During yesterday’s enforcement action, $5.8 million in U.S. currency, 2,951 pounds of marijuana, 112 kilograms of cocaine, 17 pounds of methamphetamine, 141 weapons and 85 vehicles were seized by law enforcement agents. In addition, as part of the bilateral efforts between Mexico and the United States to disrupt drug cartel operations, Mexican law enforcement provided significant supportive actions for Project Deliverance. Among those arrested during the course of Project Deliverance was Carlos Ramon Castro-Rocha, an alleged heroin trafficker who has been designated a Consolidated Priority Organization Target (CPOT). A CPOT designation is reserved for significant narcotics traffickers who are believed to be the leaders of drug trafficking organizations responsible for the importation of large quantities of narcotics into the United States. 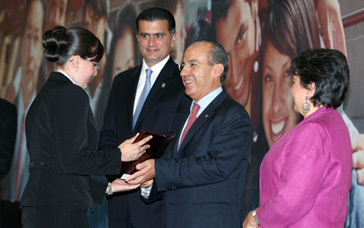 Castro-Rocha was arrested by Mexican authorities on May 30, 2010, based on an arrest warrant from the United States. Castro-Rocha was indicted in U.S. District Court in the Western District of North Carolina and in U.S. District Court in the District of Arizona on drug trafficking charges. Individuals indicted in these cases are charged with a variety of crimes, including: conspiracy to distribute methamphetamine, cocaine and marijuana; distribution of methamphetamine, cocaine, heroin and marijuana; conspiracy to import narcotics into the United States; and other violations of federal law. Numerous defendants face forfeiture allegations as well. Overall, Project Deliverance has led to the arrest of 2,266 individuals and the seizure of approximately $154 million in U.S. currency, and approximately 1,262 pounds of methamphetamine, 2.5 tons of cocaine, 1,410 pounds of heroin, 69 tons of marijuana, 501 weapons and 527 vehicles. “Violent drug distribution networks along the Southwest Border pose a threat to our border security and thus a threat to our nation’s citizens. By combining resources through operations like Project Deliverance, the law enforcement community will continue to disrupt and dismantle drug distribution networks and put those involved in the transportation of these drugs behind bars,” said FBI Assistant Director Perkins. This coordinated takedown is part of the department’s Southwest Border Strategy, announced in March 2009, which uses federal prosecutor-led task forces that bring together federal, state and local law enforcement components to identify, disrupt and dismantle Mexican drug cartels through investigation, prosecution and extradition of their key leaders and facilitators, and seizure and forfeiture of their assets. Through continued joint cooperation at all levels of the Obama and Calderon administrations, the Department of Justice and its partners are actively working to stem the flow of illegal narcotics, weapons and bulk cash moving across the U.S./Mexico border. During the course of this investigation, arrests were made and/or charges have been unsealed related to Project Deliverance in the following areas: District of Arizona, Eastern and Southern Districts of California, District of Colorado, Southern District of Florida, Northern District of Georgia, Northern District of Illinois, District of Maryland, Eastern District of Missouri, District of Montana, District of Nevada, District of New Mexico, Northern and Southern Districts of New York, Western District of North Carolina, Eastern and Western Districts of Pennsylvania, Middle District of Tennessee, Southern and Western Districts of Texas, Eastern District of Virginia, Western District of Washington and the Eastern District of Wisconsin. In a coordinated action, the U.S. Department of the Treasury’s Office of Foreign Assets Control (OFAC) on June 9, 2010, named two individuals and two entities linked to the international drug trafficking organization La Familia Michoacana as Specially Designated Narcotics Traffickers. This action targeted Wenceslao Álvarez Álvarez, aka Wencho, his frontman Ignacio Mejia Gutierrez and two entities, Mega Empacadora de Frutas, S.A. de C.V. and Importaciones y Exportaciones Nobaro, S.A. de C.V. Under the Foreign Narcotics Kingpin Designation Act, any assets these individuals or entities may have under U.S. jurisdiction are frozen. In addition, U.S. persons are prohibited from conducting financial or commercial transactions with the designees. The investigative efforts in Project Deliverance were coordinated by the multi-agency Special Operations Division, comprised of agents and analysts from the DEA, FBI, ICE, Internal Revenue Service, U.S. Customs and Border Protection, U.S. Marshals Service and the Bureau of Alcohol, Tobacco, Firearms and Explosives, as well as attorneys from the Criminal Division’s Narcotic and Dangerous Drug Section. More than 300 federal, state, local and foreign law enforcement agencies contributed investigative and prosecutorial resources to Project Deliverance, many of which were through the High Intensity Drug Trafficking Area (HIDTA) Task Forces and the Organized Crime Drug Enforcement Task Forces (OCDETFs). Significant assistance for Project Deliverance was also provided by the Criminal Division’s Office of International Affairs. Cancun, Mexico; June 10, 2010-ESPN Regional Television announced that this year’s 2010 Cancun Governor’s Cup, an eight-team men’s college basketball tournament will be played on December 22nd through the 24th at the Poliforum Benito Juarez in Cancun, Mexico. The tournament will include Appalachian State, Colorado State, East Tennessee State, Ole Miss, Northeastern, Saint Louis, Southern Miss and Texas State. Seven of those teams reached the 2009-10 postseason, including ETSU in the NCAA Tournament. Ole Miss advanced to the National Invitation Tournament’s final four, while Northeastern also played in the NIT. Colorado State and Saint Louis played in the College Basketball Invitational. Appalachian State and Southern Miss played in the CollegeInsider.com Tournament. The new tournament will feature 12 games throughout a period of three days. Each team will compete in one game per day, advancing through a bracket-tournament format. The two teams that remain undefeated will face off in a championship match. Conference USA will serve as the event’s sponsoring conference. The Cancun Governor’s Cup supports youth basketball initiatives in Mexico started by the Telmex Foundation and Mexican NBA star Eduardo Najera, which strives to bring the game of basketball to the youth of Mexico. Since initiation of the league in 2007,, 60,000 kids from across Mexico have participated. The Cancun Governor’s Cup will annually offer tickets to the league for kids to experience the thrill and excitement of collegiate basketball firsthand. Cancun is a world-class vacation destination located on the coast of Mexico’s easternmost state, Quintana Roo. The area is known for its outstanding beaches, outdoor activities, dining and archaeological sites. December temperatures range from 68 to 82 degrees Fahrenheit. In preparation for the 2010 Cancun Governor’s Cup, a single game was played last season at the Poliforum Benito Juarez, with Virginia Tech defeating Seton Hall 103-94, during overtime in front of a crowd of 2,365 onlookers. The arena is located on Boulevard Luis Donaldo, a few minutes from the Cancun International Airport and was opened last year as the home of the Pioneros Quintana Roo, the basketball team of the state of Quintana Roo. For ticket or travel information, visit www.cancungovernorscup.com.